203, 2/F FBR Bldg., 317 Katipunan Ave. This venue is good for workshops and trainings. 	Korean, Filipino, & American restaurants within the bldg. 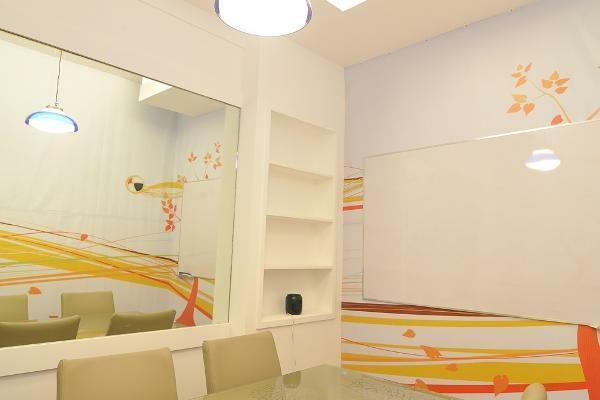 	Studio Rooms, Banking facility, Spa, and Arcade within the bldg. Payment of Reservation Deposit is binding on the client and Alchemy Business Center. This is a non-refundable deposit. This confirms and holds the use of the Small Meeting Room due and demandable on Alchemy Business Center on the dates and time schedule indicated by the client, for which this deposit is being made. Cancellation or re-scheduling without any penalty will be accommodated provided it is made at least 2 days (48 hours) prior the original confirmed booking. We may allow only 1 re-scheduling occasion. Any cancellation/re-scheduling done less than 48 hours of the confirmed booking will mean a forfeiture of the deposit.